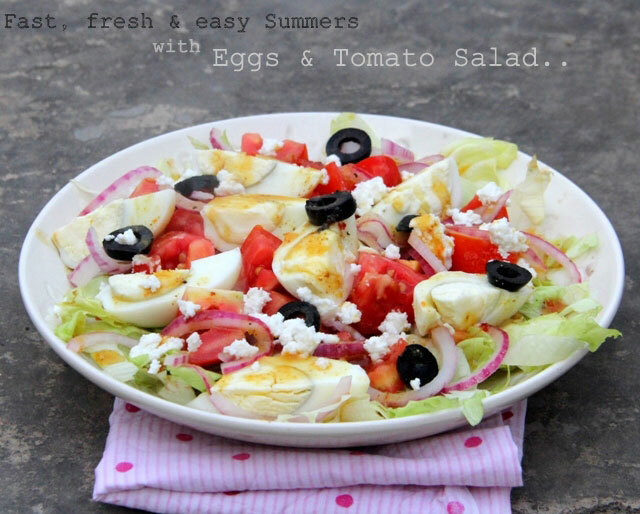 A refreshing Summer Salad with juicy veggies, eggs and a hot yet sweetly balanced dressing. ‘Chef’, the Jon Favreau movie has completely blown me off to say the least. There have been quite many great movies that I’ve watched lately but none has left me so moved. So, although this nice Salad happened this hot afternoon and while I do recall how excited and happy I was with the way that salad tasted, but right now all I can really think about is that wonderful movie. And because I can’t get over the movie yet, all I shall do it state some facts about the salad. 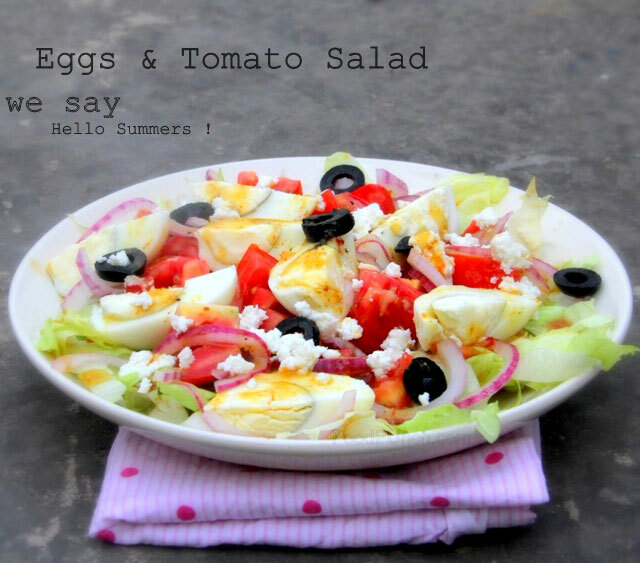 So this salad was no coincidence, I’ve been thinking salad for a few days; afterall my fast, fresh and easy summer mission would be almost incomplete without some fresh salads. So it was planned, and in a was between tofu vs chicken cubes vs eggs, eggs clearly won the race as the replacement to the meaty substance in that salad. 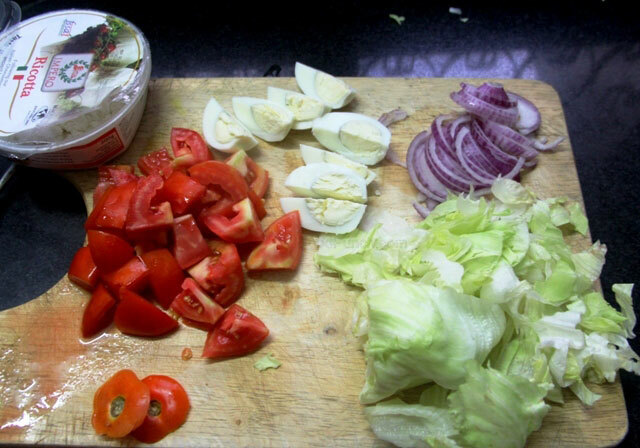 The veggies are basic, chunky, juicy tomatoes, lettuce for greens, red onions to add the crunch and a little heat, black olives and a quick dressing made with some Dijon mustard, Chinese sweet chilli sauce, extra virgin olive oil, balsamic vinegar in perfect proportions. All in all the dressing was perfect balance of sweetness, heat and the depth of good extra virgin olive oil, ultimately giving out a good refreshing summer salad that was put together in no time. Its 12 in the night already and I might not be able to put up this post tonight but I did want to put in on records that this night was just about the movie and its going to be a night long of food dreams. 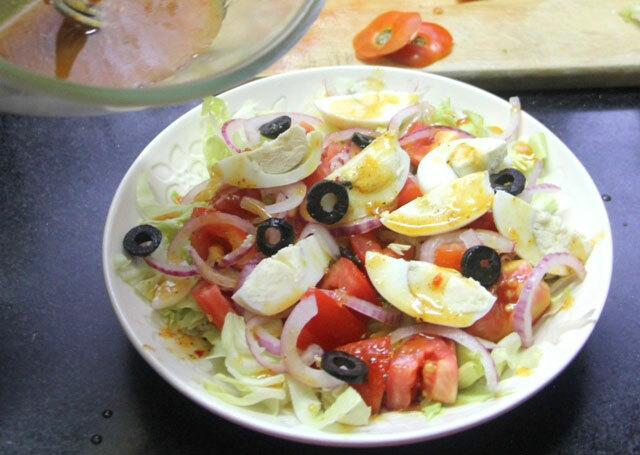 Ps- The pics may remind of something similar from last summer, that is if you’ve been reading me since that long, yeah the same old fav salad bowl and the visual appeal but quite a different salad. 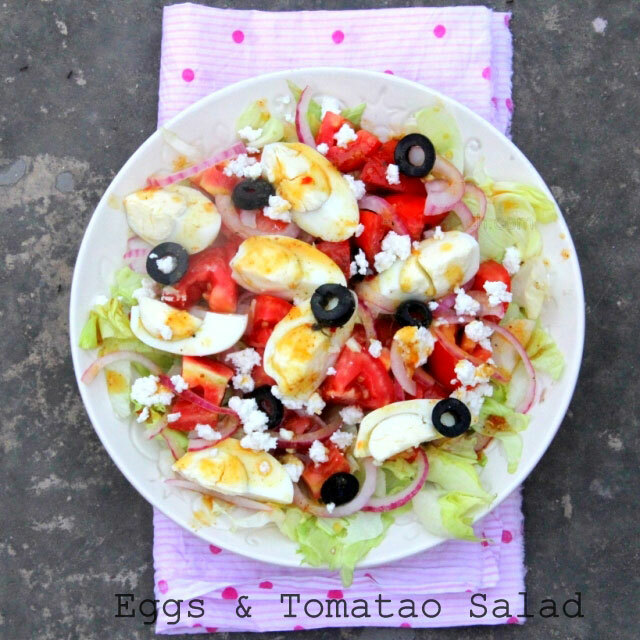 Do check this watermelon and ricotta salad from last summer which is equally refreshing. Salad greens, I had iceberg lettuce, you may use the greens of your choice like rocket would be great. 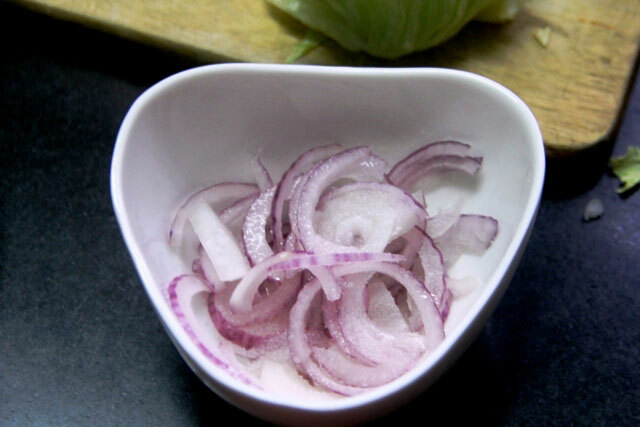 Start by tossing the onions in the vinegar and a pinch of salt and keep it aside. Peel the boiled eggs and leave it in the fridge to chill. 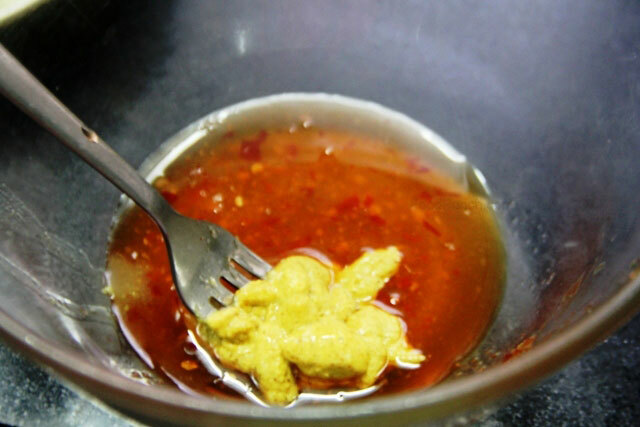 The move on to the dressing, take Chinese red chilli sauce in a bowl, add Dijon mustard and mix using a whisk or a fork is just fine. 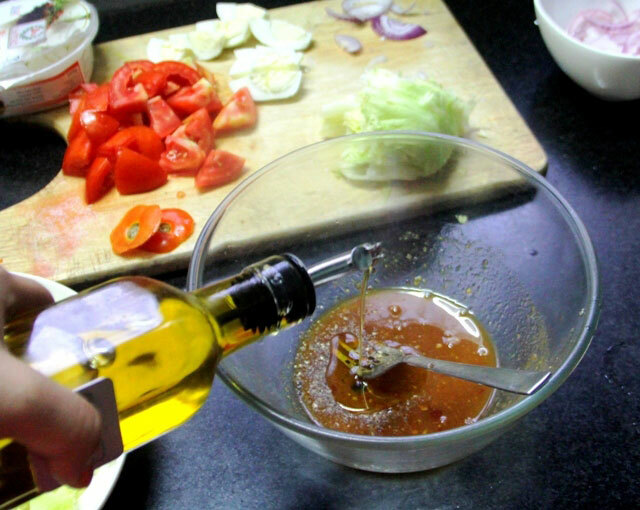 Then add in succession the balsamic vinegar and olive oil while continuously whisking the dressing until it emulsifies. Add a little salt and the dressing is ready. 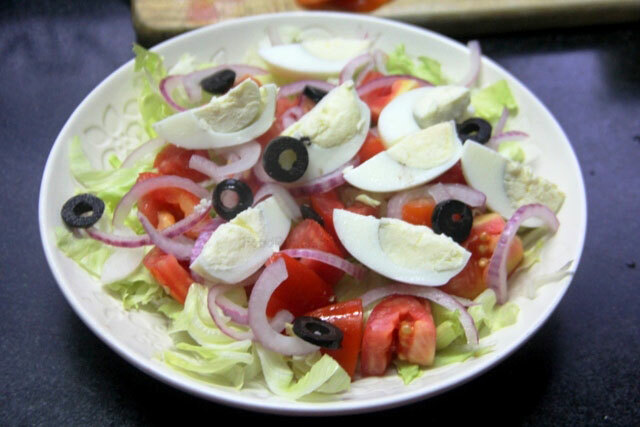 Now arrange the veggies on the salad plate, starting with the salad greens, then tomatoes, then onions (drip off the excess vinegar), then eggs (sliced into quarters diagonally) and finally the olives. 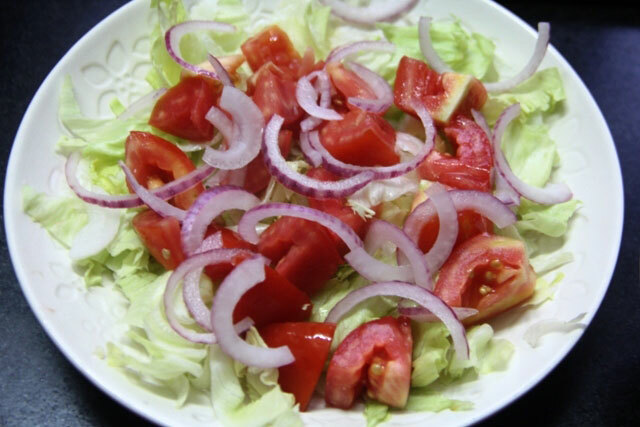 Sprinkle some salt and pepper and drizzle the entire salad dressing over the salad. Finish with a topping of crumbled ricotta and serve immediately. Replace the eggs with some smoked chicken and the salad for the carnivore us is ready. As already stated use the greens of choice, infact I’d prefer rocket myself but lettuce is all I had.